The letter written to Blanche was from her Sunday School teacher, Emma G. Garner. 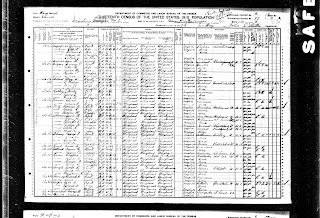 So after I found Blanche on Ancestry.com, I looked up Emma. I found her right away. 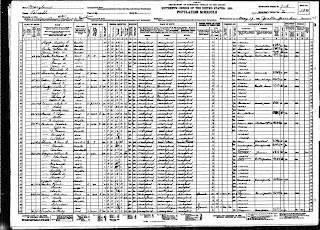 She was 59 in the 1920 census, so in 1924, that made her 63. She lived with her brother and his wife in the house he owned on Linwood. He worked as a cashier in a bank and neither his wife nor Emma worked. I wonder if it was tough living with your sister-in-law. I hope it was wonderful and not difficult for Emma. Remember to click on the image above to make it bigger in order to read the information. 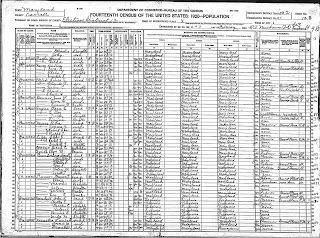 Two roads were listed on the 1920 census record - Linwood and McKinstry Roads. I couldn't find Linwood at first, so I tried McKinstry. That worked. Then I saw Linwood, which is no longer the name of a road, but a village perhaps. On this map above, I requested directions from Linwood to Jasontown Road, the intersection which Blanche Shriner lived 2 doors down from. This sleuthing sure is fun!! I wonder what churches were in the Village of Uniontown, MD in 1924. All text, pictures, artwork, and content on this site are the exclusive property of A Nest Amid Thorns (unless otherwise noted) and may not be used, copied, or transmitted without the express prior consent of A Nest Amid Thorns.